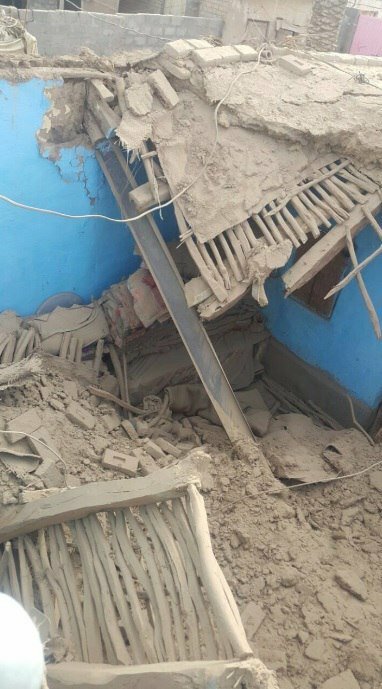 A M6.1 earthquake hit Afghanistan near Pakistan border on January 31, 2018, killing a young girl in housing collapse and injuring at least 12 people. 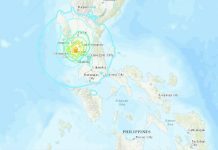 The seismic shock was felt in Kabul, New Dehli and Lahore, hundreds of kilometers away from the epicenter of the deep quake. 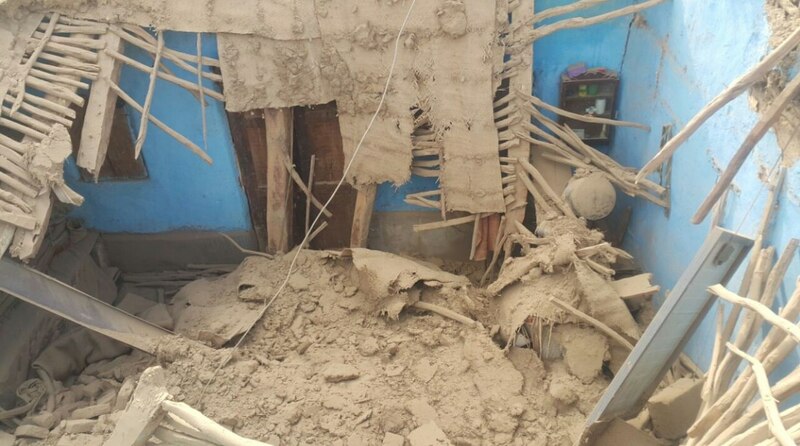 Afghanistan has been struck by a 6.1 magnitude earthquake close to its border with Pakistan, killing one and leaving at least five injured. 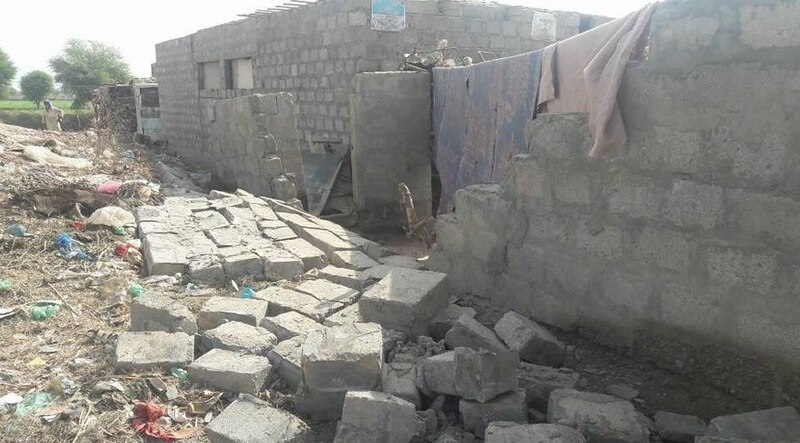 Tremors from the quake were reported in Kabul and felt in a number of other densely populated locations in the region including Islamabad, New Delhi, Lahore, Bahawalpur, Kashmir and Abotabbad. 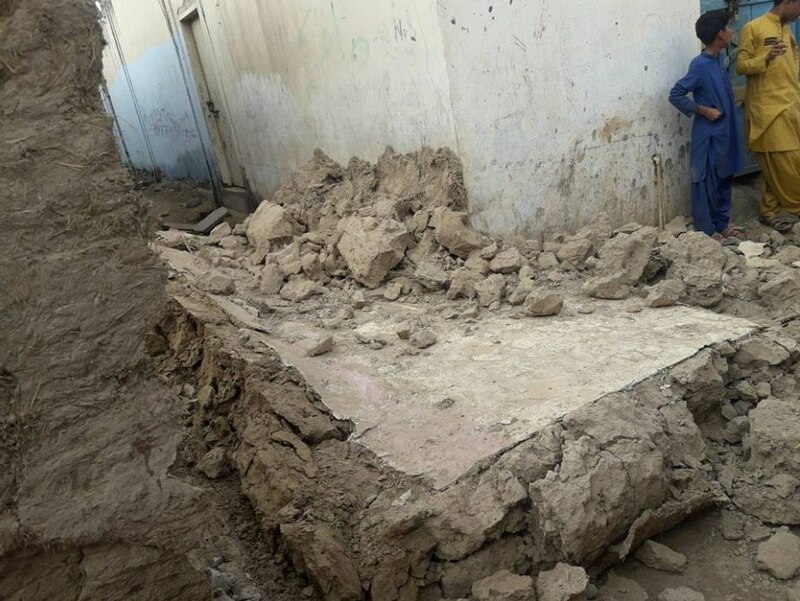 Destructive consequences after M6.1 earthquake in Afghanistan on January 31, 2018. 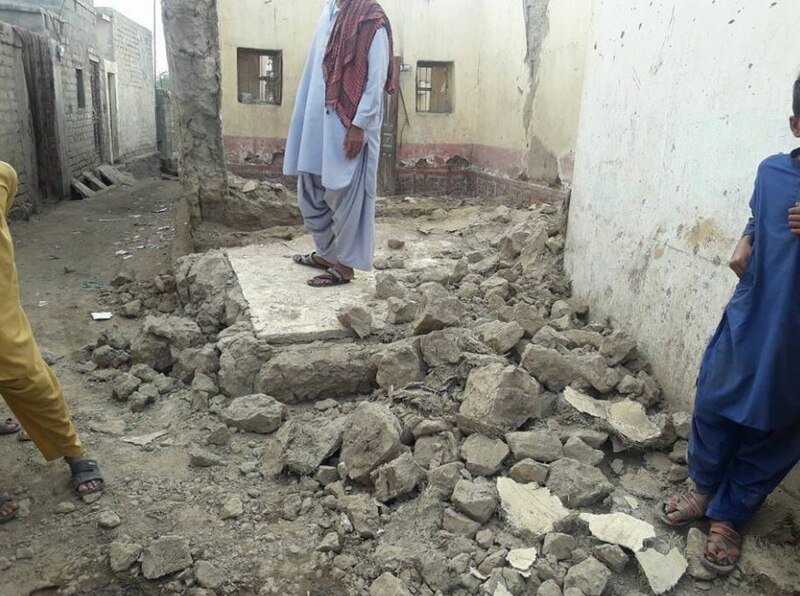 A young girl was killed and nine others wounded in the village of Lasbela in Pakistan’s Baluchistan province when the roofs of mud-brick homes caved in. 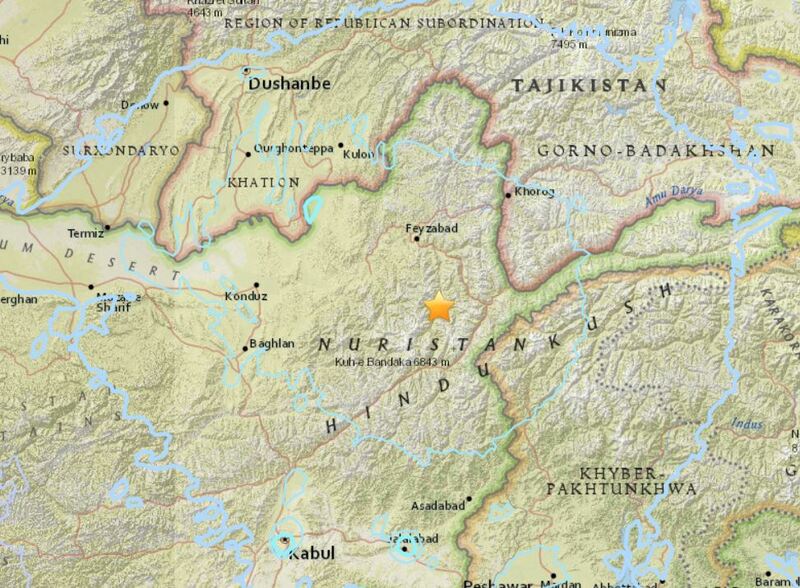 Three more people were hurt in Afghanistan’s Badakhshan region as a result of the tremors. 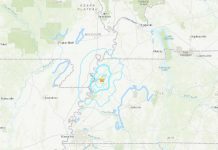 The USGS located the epicentre of the quake 22 miles south of Jarm in the Hindu Kush mountains in the country’s northeast at a depth of 119 miles below the surface. In neighbouring Pakistan, local TV news footage showed school children and office workers fleeing buildings in a state of panic. 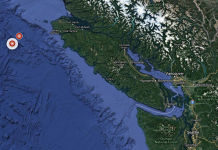 Rana Hamid Ali, an employee at a private company, said the quake was so strong he ran down the stairs rather than using the elevator to escape the building as quickly as possible. 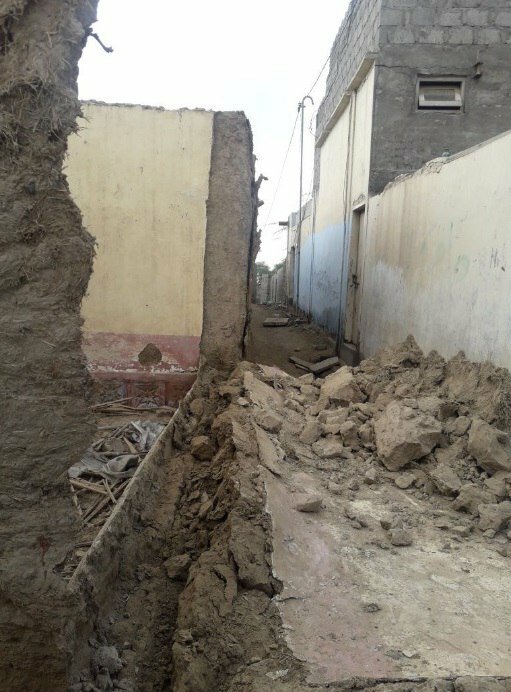 Another resident, Azeem Chaudhry, said the walls of his home swayed during the initial impact. This is the latest disaster to hit Afghanistan in recent weeks, following the killing of 11 soldiers in an Isis-claimed terror attack on an army base, the deaths of 103 in a Taliban suicide mission involving an ambulance packed with explosives and the bombing of Kabul’s Intercontinental Hotel, in which 14 people died.